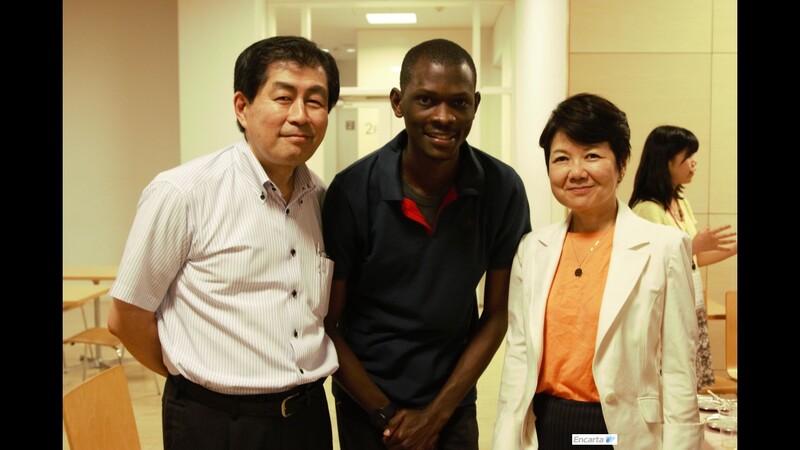 When the news reached my email that I made the 7% out of 300 applicants as the only African participant to attend a Summer Innovation Camp with the University of Tokyo in Japan, I was eager for July 29th to clock. I joined other 29 international colleagues who made the 7% and undertake their studies in high ranking universities of the world such as University of California (UCB), Oxford, Cambridge to mention but a few. Nationalities at the programme rang from USA, UK, France, China, Switzerland, Slovenia, Finland, Hong Kong, Thailand, South Korea, Indonesia, Pakistan, Spain, Bangladesh, Germany and a few I might have missed. We were to be joined by 30 other Japanese participants from the University of Tokyo and a single lucky participant like me, from Chiba University in Japan. The main goal of the innovation workshop is to teach us how to create regional innovation. Regional innovation is innovation for solving challenges of local regions. From the foregoing, the need for regional innovations cannot be overemphasized. The founder of the programme and Director of Centre for Knowledge Structuring at The University of Tokyo, Professor Hideyuki Horii, narrated to me how he veered from the technical practice of civil engineering to focus solely technology for social innovation. He, along with his team had started i.school in 2009 in order to teach students how to think creatively and to give them confidence to be innovative. This year, they teamed up with another innovation school, Royal College of Arts (RCA), from the UK to organize two different innovation workshops for us. The workshop from RCA was mind blowing, funny and crazy in terms of ideas created by participants. 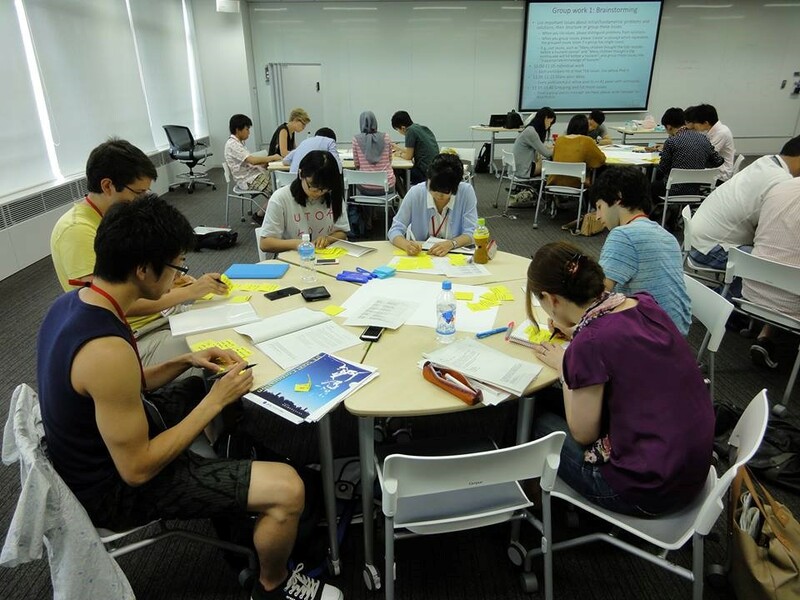 Horii Sensei started his innovation workshop of i.school by asking the 60 participants to write down as many ideas as we can in 3 minutes. A Japanese student acknowledged writing up to 15, the highest. One third of that is what I did. He again asked the same question, however, restricting our thinking to ideas that only create new services in a shopping mall. I came up with 2. No one had more than 5. It was harder to think that way. And that was the main lesson. To think while making reference to an analogy. It is an ideation method that makes taylor-made proposals based on a certain service or scenario. With analogic thinking, a challenge is put by thinking about how to improve a certain service or product while making reference to another and better analogy. The i.school workshop lasted for two days. Sign up for my posts here. 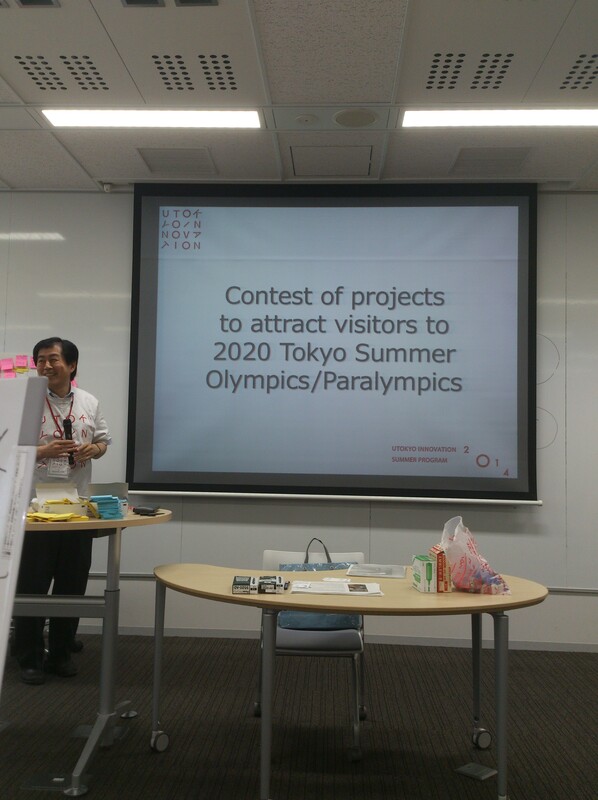 On the second day, all participants have mused about new ideas to attract people to the 2020 Olympic Games. It was showtime as a member of the design committee of 2020 Olympics will be present to give his remarks on the proposed ideas. Japan has won the hosting rights of the 2020 Olympics in Tokyo. One of the most, if not the best city to live in the world. You cannot miss a valuable item like stockings and don’t have it returned or mailed to you as someone enjoyed after having forgotten her stockings in a hotel room. Cleanliness, orderliness, hospitality, security and you can go on mentioning. Cases of bag or phone snatching are not heard. Yes, you can leave your bag unattended at a train station and ‘Tokyo 911’ and City TV won’t show up. People do not know terrorism in this part of the world. Thinking method proposed by RCA was the opposite of that in i.school workshop. While they also centered the workshop around a theme-Washi which is a traditional Japanese paper, however, they did not limit the extent of ways you can use Washi. The idea was to think outside the box with just a single piece of paper at your mercy. Interesting, exciting, mind-blowing and crazy ideas were proposed by different groups either through a skit or a narration. The main goal of the workshop was to think extreme. To break all borders of limitation and assume you can create anything you like with a resource you possess. Many participants liked it because of the freedom and no-limit obligation. 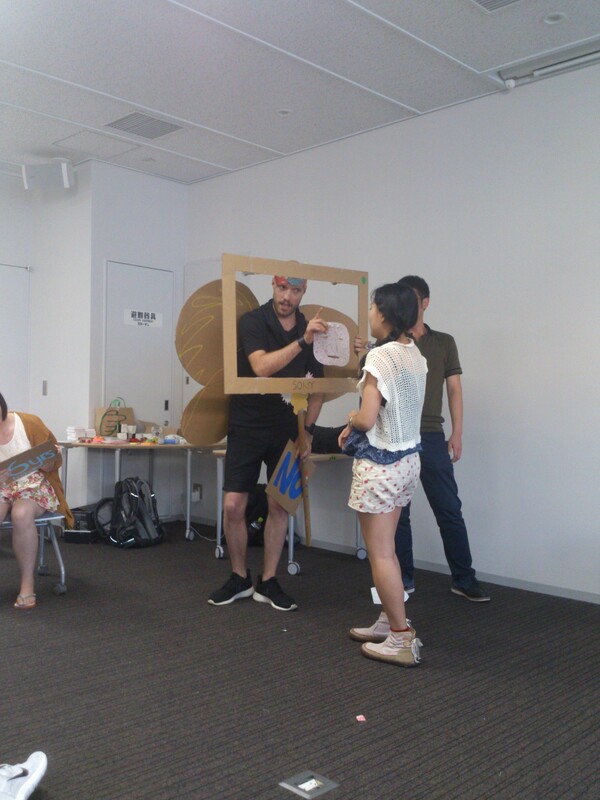 A group makes a skit of their idea of a face mask made out of Washi paper that clears your face from any illness or ugliness in a few minutes. Instant makeover. This shuld sell anywhere. While we have assimilated all these knowledge passed to us by two innovation schools, we moved into a less popular region of Japan, Tonou City, somewhere close to where the great 3.11 tsunami decimated. We mingled with High School Students and taught them how to create regional innovation. The ideas the kids presented were impressive. Post 2 of this blog will detail our interaction with the beautiful High School students. It is with such enthusiasm and results I witnessed at Tonou City, that I feel the need for regional innovation is universal. Every particular region has its set of resources that needs to be harnessed in certain ways not only by rich entrepreneurs, capitalists and multinationals, but also by the common man who will feel the impact more than anyone. And our programmes caught the eyes of an Asian Newspaper Nikkei in Tokyo and Iwate Local Newspaper in Tonou City. In case you cannot read the Japanese script, you can watch the video here. And for a summary of all our workshops in Tokyo City, please watch this video here made voluntarily by an amazing student staff, Demeturie. Have any questions about the Innovation workshop, the work we did with High School Students, please do not hesitate to ask. Hoping that you gained a lot, which i knw u did, and that it will impact you to be more resourceful to your community and the larger Africa and most of all the Islamic community. Looking forward to applying this in my immediate environment. It’s a refulgent developement besides it’s good to have an international orientation and initiatives so those back at home will be wise when they perceive your perfume. More greese to your joints not just elbow. Wow! This is really impressive and an amazing opportunity! I’m glad to see you got a chance to share your knowledge with high school students, it’s always good to pass on what you know to someone else! I write stuff on travel, innovation and environmental sustainability. Cheers!